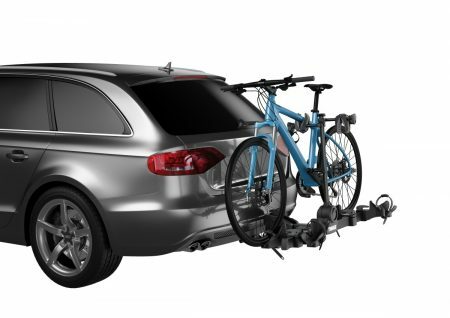 The Thule 9054 DoubleTrack Pro is a lightweight, platform hitch bike rack that is perfect for carrying a variety of bikes, keeping them safe and secure on any journey. The Thule 9054 DoubleTrack Pro is a lightweight, platform hitch bike rack that is perfect for carrying a variety of bikes, keeping them safe and secure on any journey. 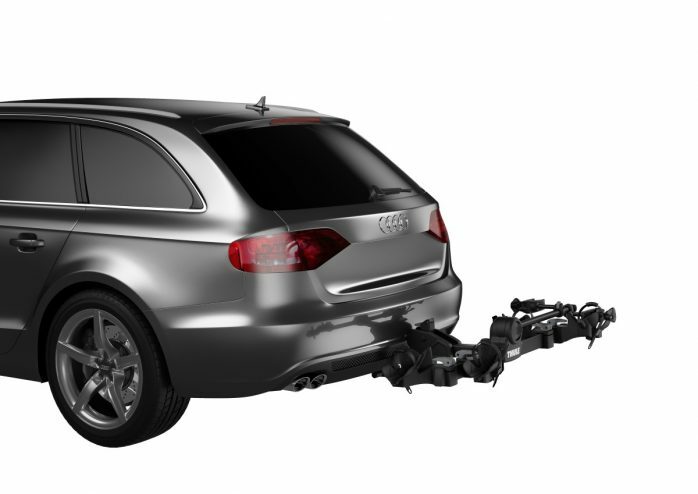 The DoubleTrack Pro can carry up to 2 bikes. With a limited lifetime warranty Thule is dedicated to providing exceptional products that are quality tested and guaranteed against defects in materials and workmanship. 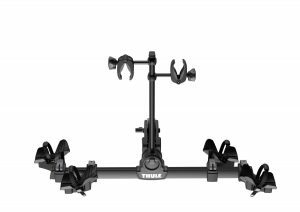 The Thule 9054 DoubleTrack Pro holds a variety of bike sizes and styles including road, mountain, and fat bikes using sliding wheel trays with adjustable straps. 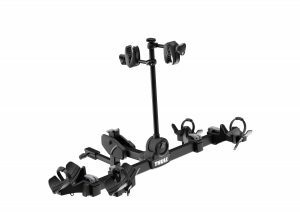 The DoubleTrack Pro features a versatile design which holds bikes at a variety of heights with pivoting cushioned bike frame clamps. 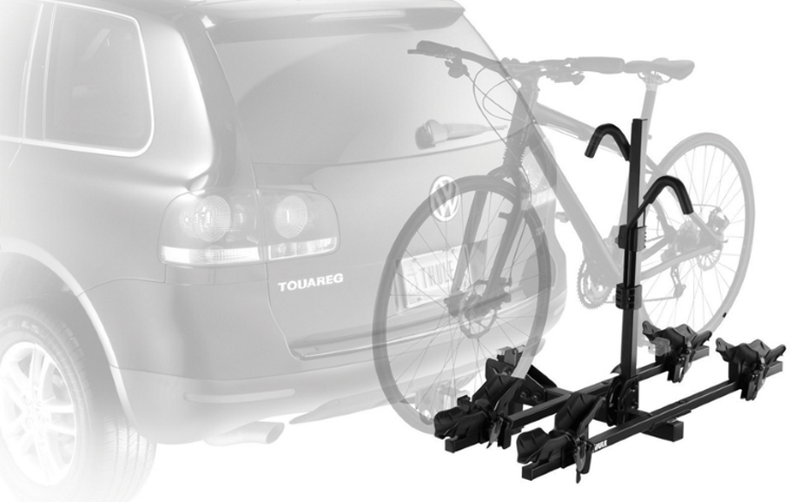 To prevent theft of your bike rack and bikes, the DoubleTrack Pro includes a Snug Tite Hitch Lock and 2 x Thule One-Key lock cores to secure the frame-grabbing clamps. Once your bikes are unloaded from the rack, the DoubleTrack Pro can be folded up so that it sits flat against the rear of your vehicle. Fits both 2″ and 1.25″ receivers. 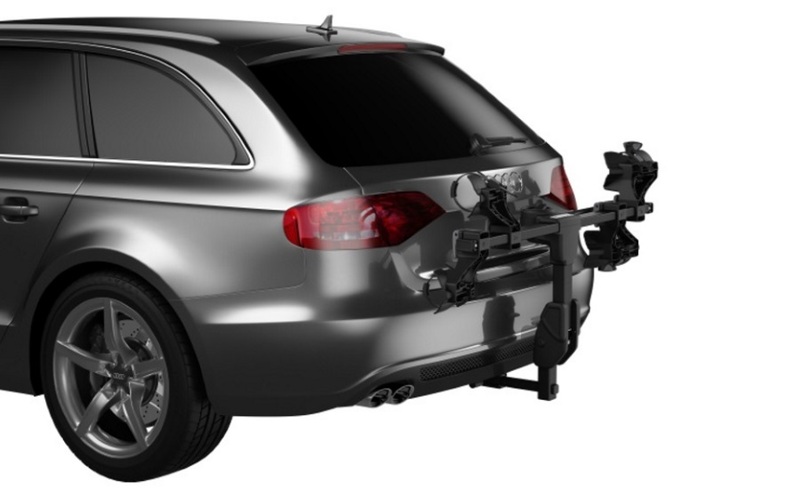 Includes SnugTite Hitch Lock and 2 x Thule One-Key lock core to secure the frame grabbing clamps. Center post tilts to the side once bikes have been removed for full access to your rear door. Versatile design holds bikes at a variety of heights due to the pivoting cushioned bike frame clamps.